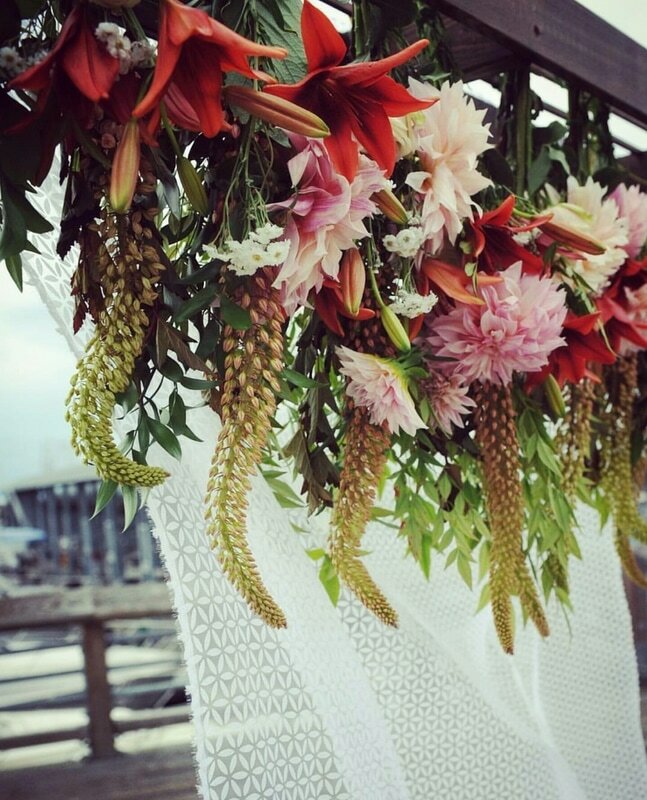 ​Lilly really made my wedding absolutely beautiful with her perfect floral arrangements. I just gave her an idea of what I wanted, let her run with it, and I couldn’t have been more pleased with the results. Thank you, Lilly! My husband’s and my engagement was all of 5 weeks long. 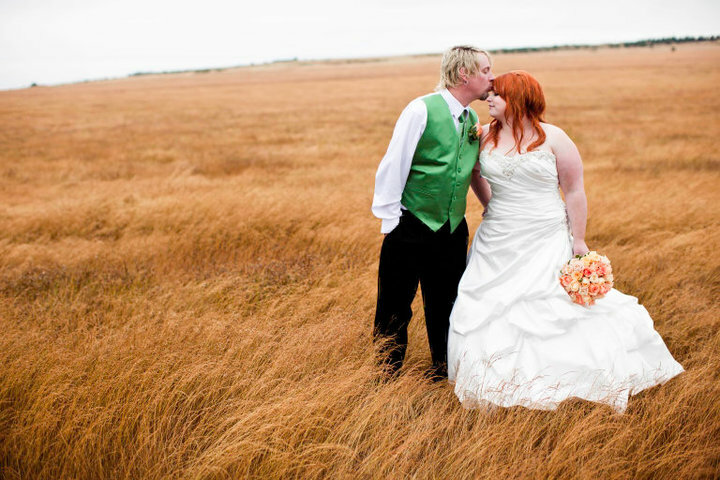 An elopement turned super small ceremony. While we decided on how we'd marry there were two details that were a must from the start. 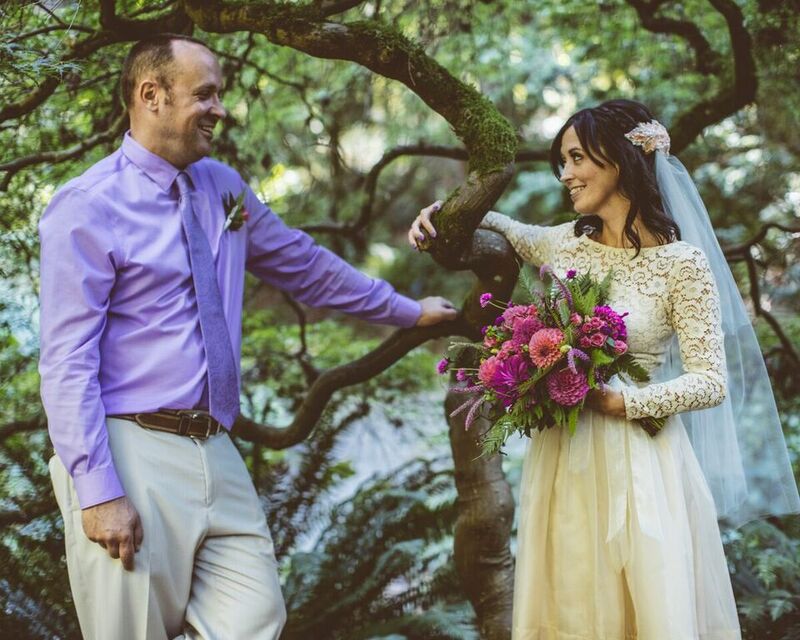 I would wear a vintage lace wedding dress and carry a bouquet made by Colibri Blooms. "Hot pink flowers and ferns with some purple thrown in." That is all I gave Lilly to go on for my flowers. The rest of the details I left up to her. I was excited to see what she would create. When she got to the ceremony with the flowers (bouquet for me and boutonniere for my husband) we couldn’t stop admiring them. No joke, half our photos are us staring at my bouquet. A fantastic array of pink and green with pops of purple that was more than I could have imagined. The bouquet added another level of joy to my wedding day and I can’t recommend Colibri Blooms enough! 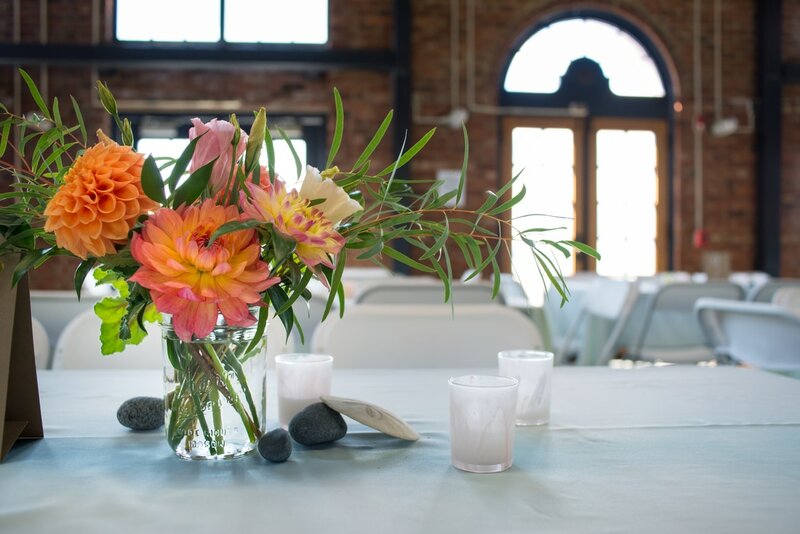 My wedding was beautiful and one of my favorite parts were my flowers from Colibri Blooms. Lilly listened to what I wanted, then exceeded my expectations wildly. The colors and flowers were beautiful and were arranged so lovingly that people said they were the most gorgeous flowers they had ever seen! Show stoppers! At my initial consult, I wasn’t 100% sure what I wanted but Lilly made it easy to just give some feedback and price goals and favorite flowers and she filled in the blanks with her considerable knowledge. The day of the big event the set up was easy breezy and my 4 year old nephew was even allowed to assist with a gorgeous floral backdrop Lilly provided. The centerpieces were perfect, and I will cherish my now dried bouquet. I have partnered with Colibri Blooms on occasions of the most happy and most somber and the flowers finds way of expressing the joy and sorrow that we also try and say with words. It has made meaningful times all the more special. I can’t recommend Colibri Blooms enough! Lilly did our wedding flowers in 2010 and they were beautiful. Her designs are unique and innovative, she works hard and can work within a budget. I would recommend her for sure.